What is the strongman experience? The strongman experience goes beyond a normal motivational speaker presentation and brings you an experience like no other. A unique blend of mind blowing feats of strength, audience interaction and comedy forged with a passionate inspirational speech. 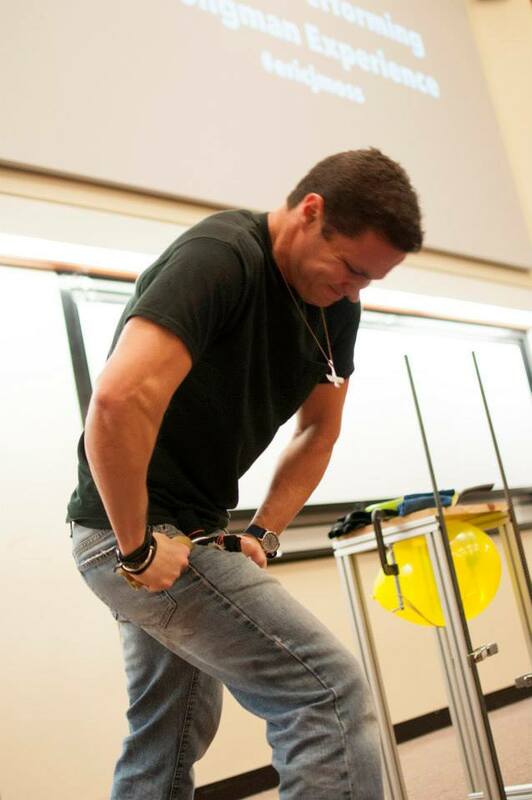 As part of his presentation, Eric brings a unique form of entertainment to the corporate and education world as he bends steel bars, breaks chains, rolls up frying pans and more which serve the dual purpose of grabbing attention AND acting as a metaphor for the struggles and challenges that hold us back in our lives and careers. It’s one thing to hear a speaker simply talk about achievement, it’s another to see it happening right in front of them and yet another when they can hold it and feel it with their own hands. To truly inspire takes more than words. 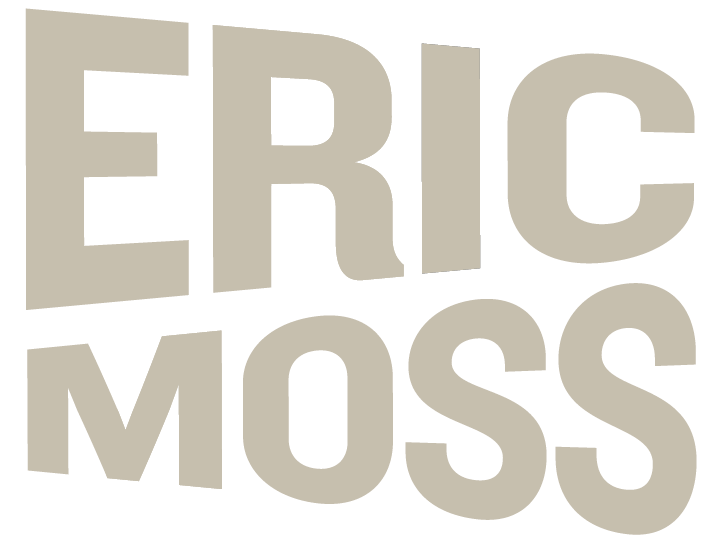 The audience will be spellbound as they are taken on a journey through Eric’s life as he uses dynamic story telling to pull them into his mentor’s gyms, where he learned practical lessons of going beyond self imposed limits, resilience, goal achievement and the secret to success. They’ll be taken on a rollercoaster as his sense of humor will make them laugh while his compassionate and heartfelt speech will make their hearts ache with emotion. The presentation concludes on a high note that prompts them to reexamine their own untapped potential. This is not simply a presentation; it’s a full on jaw dropping, mind-blowing, inspirational experience that will never be forgotten. This is the Strongman Experience, and it will transform your event. It is truly difficult to call what Eric does a presentation because it it so much more. It was an experience and one no one will soon forget. “The Strongman Experience” is perfect for those who are looking for a motivational speaker who goes beyond traditional methods. 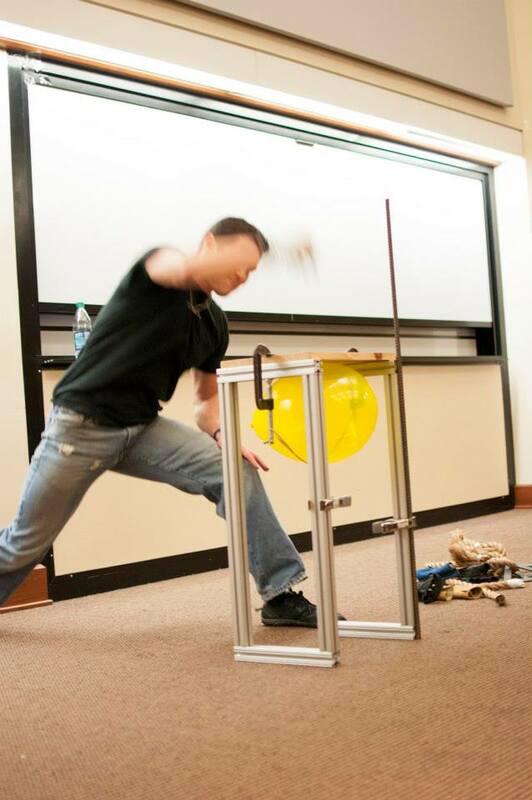 Bring the Strongman Experience to your next corporate event or school assembly! Ready to book now? Simply email the event details. 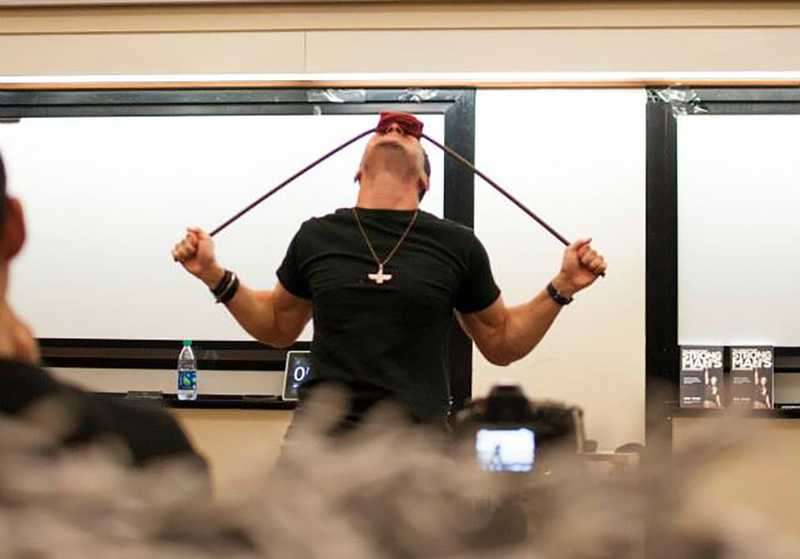 Eric will be in touch to talk about what you wish to accomplish through his steel bending strongman experience.